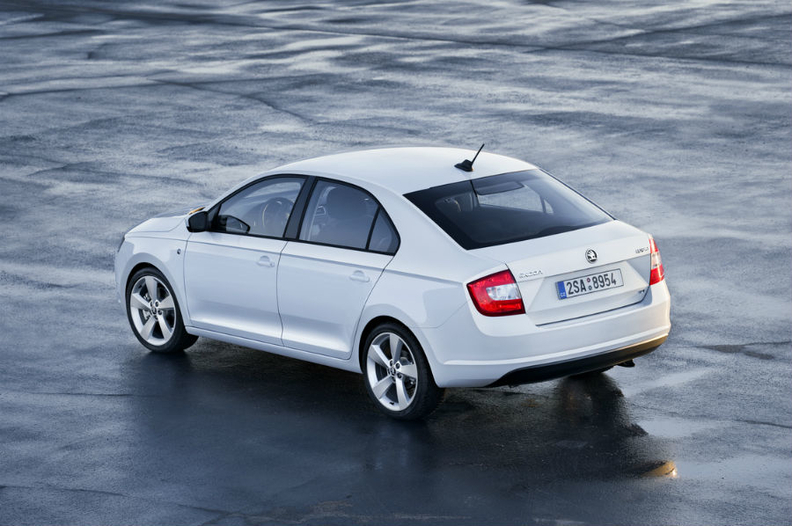 The Rapid compact car will slot between the Fabia subcompact and the Octavia compact. 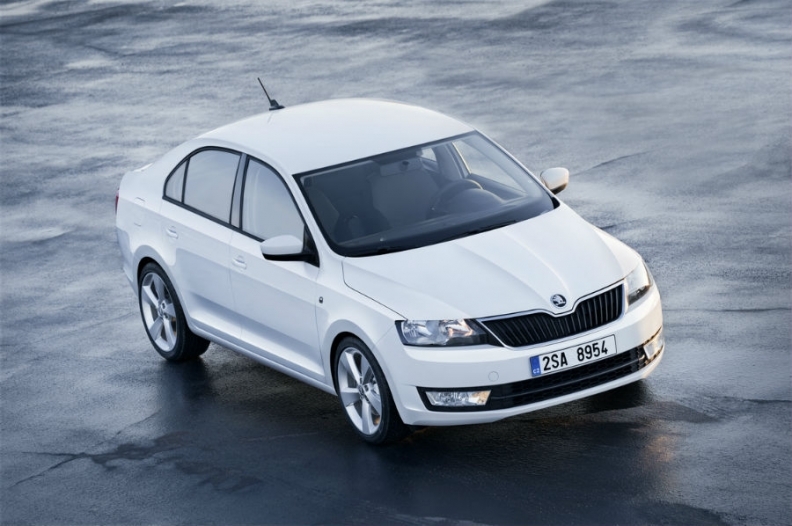 Skoda has started production of its new Rapid car for European markets in the Czech Republic. The Rapid will debut at next month's Paris auto show and will go on sale in Europe in October. The compact car will slot between the Fabia subcompact and the Octavia compact. The Rapid is a key model in the Volkswagen-owned unit's plans to boost annual sales to 1.5 million by 2018 from 879,200 last year. A localized variant of the Rapid is already on sale in India. The model will also be built and sold in China starting next year and in Russia in 2014. Skoda already sells a localized variant of the Rapid in India. The model will be rolled out to China next year and Russia in 2014. Skoda says the five-seat Rapid is a roomy family car with a large tailgate and a cargo space of 550 liters, rising to nearly 1,500 liters with the rear seat bench folded down. The Rapid "is an important pillar of our Growth Strategy 2018," said Skoda Chairman Winfried Vahland in a statement after an August 23 ceremony to mark the start of the car's production in Mlada Boleslav near Prague. The Rapid is built alongside the Fabia and Octavia and following the car's introduction Skoda will expand production capacity of the Assembly Line I in Mlada Boleslav to 1,200 vehicles per day from 800. Skoda said it built 530,000 vehicles in its global production plants in the first half.